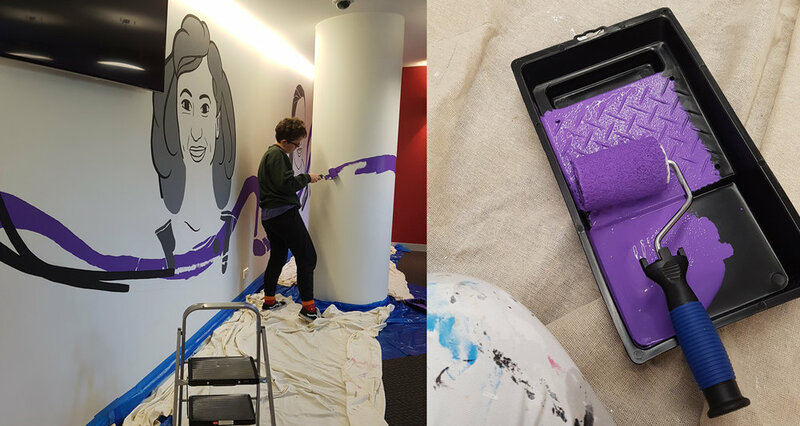 In 2018 Nick Sautner, the CEO of Eden Park, got in touch about creating a permanent mural at Eden Park to celebrate the 125th anniversary of women’s suffrage in New Zealand. Having seen my illustrations for the Our Wāhine project, he wanted to create something in a similar way that focussed on New Zealand women in sport. 7 women were chosen to be featured - Ruia Morrison (tennis), Yvette Williams (track and field), Farah Palmer (rugby), Dame Valerie Adams (shot put), Lisa Carrington (kayaking), Suzie Bates (cricket and basketball) and Fiao'o Fa'amausili (rugby). The mural extends over 4 floors, linking a ground floor entrance up to the stadium. 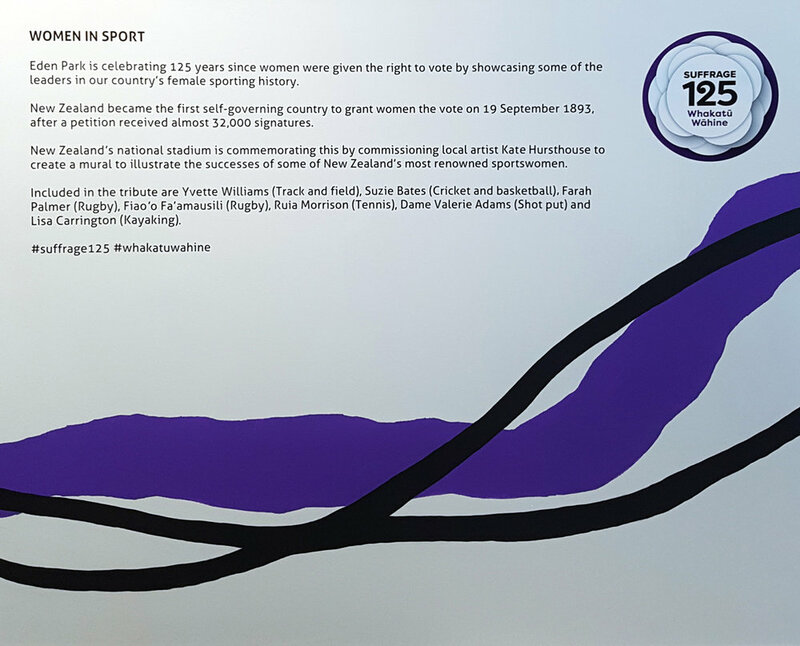 The design was kept as a simple black and white, with a purple ribbon symbolising women’s suffrage weaving throughout.